At the beginning of the year, Hargreaves Lansdown launched their revamped recommended funds list. Called the Wealth 50, it features 63 funds that are described by Hargreaves Lansdown as a shortlist of their experts’ favourite funds. It replaces both the influential and often maligned Wealth 150 and Wealth 150 plus lists. The Hargreaves Lansdown Wealth 150 lists were regarded as the most powerful buy-lists in the asset management industry, driving huge flows into the funds they featured and evoked outflows from those not deemed good enough to be included. The However, our previous review of the funds in the Wealth 150 and Wealth 150 plus lists identified that some of the funds had a history of poor performance. In this report, we reviewed the performance and sector ranking for the 63 funds that are featured in Hargreaves Lansdown’s rebranded Wealth 50 list and found that some of the funds have been among the worst performers in their sectors. The Wealth 50 is a selection of funds Hargreaves Lansdown think have excellent long-term prospects. The purpose of the list is to make it easier for investors to make fund choices by filtering through the 3,000 plus funds available and producing a list that consists of just 63 funds that give investors a few options in each of the main investment areas, or sectors. A distinguished career - we analyse the manager's entire career, so we know their strengths. A fantastic track record - a fund manager needs a history of good performance across different market conditions.  A robust process - we meet managers a number of times to get a deep understanding of how they invest, and at least once a year when they're on the list. Hargreaves Lansdown’s promoted funds lists are highly influential, going to its 1.1 million private investors, many of whom act on their recommendations. Although Hargreaves Lansdown says the new Wealth 50 aims to offer a simpler and more focused list of funds, it has already courted controversy. The list fails to include star fund manager Terry Smith, and his Fundsmith global equity fund - which has been one of the top performing funds in recent years. According to The Times, Smith, who founded Fundsmith a decade ago, has accused HL of recommending funds based on their potential to maximise the fund supermarket's profits rather than their ability to outperform for clients. Hargreaves Lansdown said that while Mr Smith’s performance was excellent, his track record was only nine years and the fees he charges were relatively high. Instead, it recommended the Lindsell Train Global Equity, which is a similar fund. Nick Train who runs that fund is also a long-term investor in Hargreaves Lansdown shares, with an investment of more than £100m held across the various funds he manages. Hargreaves Lansdown says the new Wealth 50 list replaces the old Wealth 150 and has been whittled down because they believe there are very few funds worth recommending. According to the Times, Hargreaves Lansdown’s research director, Mark Dampier, said that more than 90% of the more than 2,500 unit trusts and other investment funds available to the public were “rubbish”. So how have the funds that made it onto the Wealth 50 list fared? As mentioned earlier, among the most questionable inclusions are Neil Woodford's Equity Income and Income Focus funds. Both of these funds have endured a torrid few years. Over the past 12 months, the Woodford Income Focus fund returned sizeable losses of -20.85%, which was worse than 98% of its competitors. Woodford’s £4.7 billion Equity Income fund returned negative growth of -17.06% this past 12 months, which was below 86% of its competitors. Over 3-years it returned -13.44%, which was worse than 98% of all other funds within the same sector. The £495 million Kames Ethical Fund was another fund to be included in the Wealth 50 list that had a poor performance history. This fund has consistently been among the worst performers in its sector, and over the past 12 months, it returned losses of -18.17%, which was below 93% of competing funds within the same sector. Over 3-years its cumulative returns of -6.17% was worse than 97% of its peers, and its 5-year cumulative growth of 8.40% was well below the 18.22% sector average and worse than 81% of same sector funds. The popular M&G Recovery fund has also struggled for performance. Over the past 5-year period this £2.2 billion fund returned negative growth of -0.67%, which ranked below the returns of 96% of its competitors. Artemis’ £3.5 billion Global Income fund was also included in the Wealth 50 list despite the fact this fund has experienced a decline in performance over the past 1, 3 & 5-years. This fund has returned above-average growth of 43.89% over 5-years, but over 3-years its growth of 20.37% was well below the sector average, and over the recent 12-months this fund returned negative growth of -13.20%, which was worse than 90% of its peers. Among the top performers included in the Wealth 50 is the impressive Lindsell Train Global Equity fund. This £5.3 billion fund has maintained an exceptional level of performance consistently. Over the past 1, 3 & 5-years, this fund returned cumulative growth of 10.92%, 76.72%, & 136.31% respectively. To put this performance into perspective, over each of these three periods this fund was able to deliver returns that were within the top 0.2% in its sector. Lindsell Train’s £5.5 billion UK Equity fund was another inclusion in the Wealth 50. Another consistent top performer, this fund returned cumulative growth of 61.80% over the past 5-years. This was more than three times greater than the sector average and higher than 99.5% of all other competing funds within the same sector. The £178.7 million Marlborough Nano Cap Growth fund has consistently been among the top performers in the UK Smaller Companies sector. This fund has consistently outperformed at least 75% of its peers over the past 1, 3 & 5-years as it returned cumulative growth for the periods of 1.14%, 52.50%, and 63.24%. Baillie Gifford’s Managed fund was their only inclusion in the list. This £3.1 billion fund returned growth of 46.28% over the past 5-years, which was well above the 26.77% sector average and better than 95% of all other funds in its sector over the same period. Alongside the Fundsmith Equity fund, another notable omission from the Wealth 50 is the Baillie Gifford American fund. This fund has consistently dominated the North American sector with recent 1-year growth of 13.43%, ranking 2nd out of 141 funds, and 3 & 5-year growth of 81.03%, and 137.97%, which were the highest in the entire sector. Instead, the Wealth 50 lists the L&G US Index in its place. Although this fund has competitive returns, it falls well below those of Baillie Gifford’s American fund, and over the past 12-months, it has suffered from a drop in performance which has caused it to fall down the sector rankings. 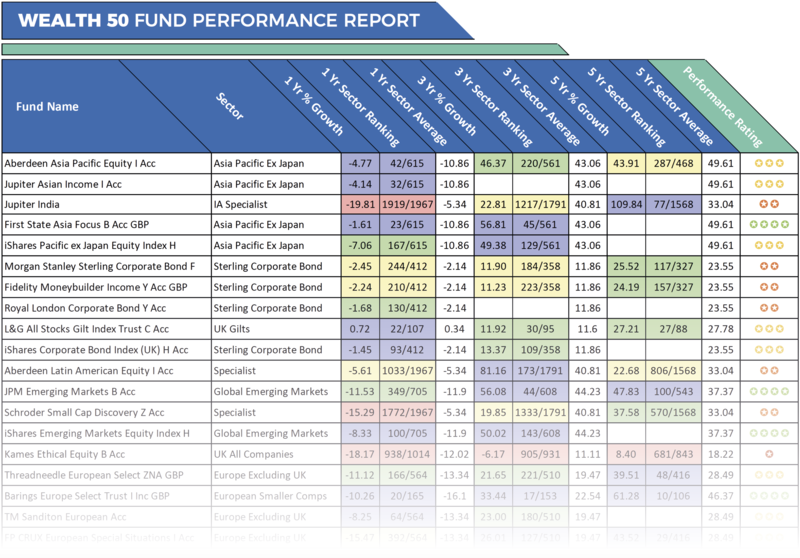 The Jupiter European was another fund with strong performance to miss out on the Wealth 50. This popular fund is a favourite with many investors, and currently, it holds some £5 billion of assets under management. By looking at this funds’ performance, it’s easy to see why it is so popular. Over the past 12 months it has been the top performing fund in the entire IA Europe Excluding UK sector, and over 5-years, its cumulative growth of 73.42% was more than double the sector average and ranking 2nd in its sector. At roughly one-third of the size of the previous Wealth 150, the Wealth 50 represents Hargreaves Lansdown’s latest and most compact recommended funds list to date. Our past analysis of the Wealth 150 found that it primarily contained funds that had struggled for performance with many other competing funds delivering consistently better returns. Although Wealth 50 has some questionable inclusions and equally questionable omissions, it does include some funds that have a strong performance history when compared to their competitors. Such recommended funds lists can have a significant influence on how we invest. However, based on the performance of some of the funds it contains, investors should be careful of making fund choices based on what is or isn’t included in the Wealth 50. In doing so, you could potentially miss out on better performing and better-suited alternatives.